"The program was created to inspire and educate chefs and other culinary professionals about the unique qualities of Wild American shrimp." The American Shrimp Processors Association (ASPA) has launched the Wild American Shrimp Chef Ambassador Program, a program created to inspire and educate chefs and other culinary professionals about the unique qualities of Wild American shrimp, over massed produced imports, and showcase how this succulent and nutritious source of protein from the Gulf and South Atlantic warm waters can be incorporated into a range of inspired culinary dishes. Participating chefs will be featured online and in campaign marketing materials – including a new Restaurant Marketing Toolkit – actively showing their support for this superior ingredient through testimonials, preparation tips and recipes. A viral social media campaign, called the “Chef’s Challenge,” will feature videos of chefs sharing their Wild American shrimp recipes and challenging their colleagues across the country to do the same and become Ambassadors and pass along the message to other culinary professionals, and so on and so on. The 2014 program is being launched with chefs from each of ASPA’s member states who will act as ambassadors in print, television and high profile culinary events. The program will also target the hottest chefs in each of the 50 states who support sustainable American seafood. Past Chef Ambassadors have included television personalities like Emeril Legasse, Mario Batali, Tyler Florence and John Besh, as well as over 30 nationally-recognized, award-winning chefs from across the country. 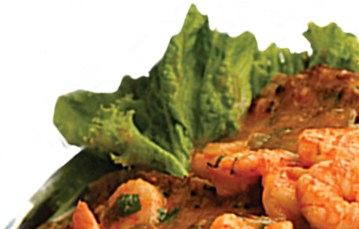 The Chef Ambassador Program is a central component of a national campaign promoting the use of Wild American shrimp by chefs, restaurants, food service professionals, retail and grocery stores buyers. To lend your support and become a Wild American Shrimp Chef Ambassador, contact Brynn Joachim at chefs@americanshrimp.com to learn more.